Where should you spend in your business? What actually matters for a profitable, thriving business? And how in the world do you get there? 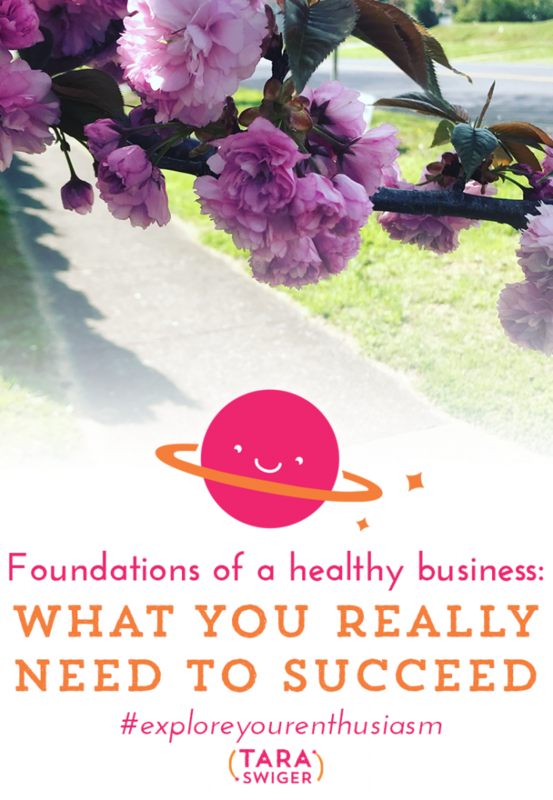 Today we’re going to discuss the foundations of a healthy business. Today we’re going to talk about what really matters in your business. Now, these are the foundations, but this isn’t just for new business owners. In fact, if you’ve got your business together and you’re wondering how you can scale it, or make it more profitable, or make more sales, the answer is almost always in these foundations. But before we go into foundations, I want to remind you that Starship is open right now. The Starship was just overhauled and GOOD NEWS, when you join, you are walked through these foundations, in a series of classes that serve as deep dives into your business. Over the course of three months, you’ll be guided with weekly lessons in these foundations, plus you’ll get access to our community, where you can ask your questions 24/7, our weekly check-in to hold you accountable, and monthly group coaching calls with me – where I will go deep on whatever your question is. In the past, I’ve just given you access to the classes and told you “take what you need”, but I’ve learned over the last 6 years that the biggest transformation happens when work on your foundations in a specific order, and when you have access to ask your questions, when you’re held accountable and when you get coaching help as you go. And now, when you’re done with the 3 month program, you can choose to stay inside the community at an affordable price. As I mentioned, we go through the foundations, but the Starship is for a business that’s set up – that knows what it sells and know how it will sell it. Maybe you don’t have sales yet, but you’re committed to this business and to doing the work to make it thrive. Now, let’s talk about what those foundations actually ARE! Here’s the good news: Just knowing that these are the areas that matter can help you defeat the “OMG WHAT DO I FOCUS ON” overwhelm. You can just come back to this list: Which area needs work? And then work on it! What’s super cool is that these areas actually all build on each other – you can’t get a clear picture of your marketing if you don’t what your mission is and you don’t want to do marketing until you KNOW your item is profitable. And you can’t reach your number goals (which we talk about with profitability) unless you actually, ya know, share your work with the right people, using the right language. In other words, working on ONE area is working on ALL areas. It’s like a fractal. Everything you do is reflected around your business. When you work on how you want to communicate with your people, you’ll see the same words and feelings show up in your Mission. Or… exponential: working on one area improves that area (and often improves sales), then improves the other areas, which improves sales. 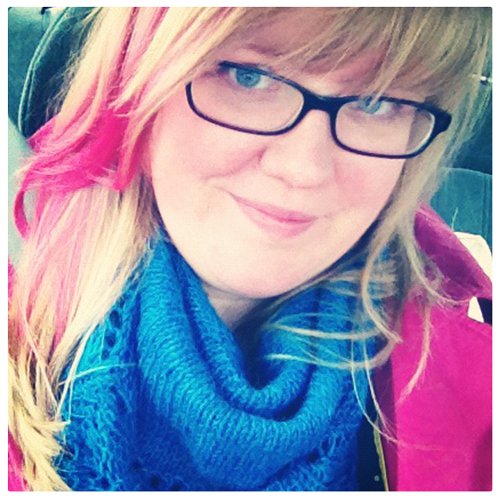 When I got really clear about my Mission – what I wanted to do in the lives and businesses of makers and artists, my marketing became so much more clear. From the words I use, to the topics I talk about, to the images I use. I suddenly know what to say, because I know what the end goal is; I know what I want my work to do in the person’s life. And that has improved my sales – it doubled within a year of getting ultra-clear! So how about you? Which foundation of your business needs work right now? As you think about that, you may feel really frustrated that you’ve wasted your time on other things, that you didn’t focus on the main foundations and instead got swept up in figuring out the perfect hashtag for your photo – that is ok! We all do it. We all read a blog post or listen to a podcast that is about a specific tactic and without asking “is this what matters to my biz right now?”, we dive into learning about it and trying to implement it. A while ago a few friends started talking about Facebook ads. So they’ve been talking about it in our group and I have to admit, even though I KNOW advertising isn’t where I want to spend my energy right now, it was tempting! It’s so tempting to work on something that’s outside of my strategy. On the other hand, a lot of makers tell me that they’ve avoided thinking about ANY of this. They just make their thing, put it in their shop… and hope it turns into a business. If that’s you, you’re not alone either. That is absolutely where to start. You haven’t done anything wrong if you haven’t started working on profitability or marketing yet. There is a tiny tiny percentage of artists who just make their work available and it all sells out. They don’t have to do any marketing and the numbers magically work out. But those are the unicorns. And you may be a unicorn, but if you have big dreams for your business, I don’t want you to waste your precious life waiting around to find out. Instead, I want you to do the work that makes your biz successful, so that you KNOW it will be. So that you don’t have to rely on outside circumstances, or being “discovered” or wait for someone else’s approval before you build the business you want. You build each of your foundations. Here’s a few things that each foundation needs. Create a plan to reach that goal. Know your numbers and how to get them. So which one of these, in your business, needs your focus? Which one of these matters MOST for you right now? In the new Starship, we cover every one of these foundations, and we explore your answers to these questions: What are your goals? Who are your people? What is your ideal workday like? And instead of feeling overwhelmed about figuring it all out at once, you work on each area, one at a time, over the course of three months. And all along the way you have support, encouragement, group coaching with me, and accountability. An amazing overview of the foundations of a biz in this ep of #ExploreYourEnthusiasm!